The solution will offer companies in the UK savings on their energy bills of up to 20% over a 25 year power purchase agreement through the installation of solar arrays and redT flow machines at their premises. Statkraft is to also bring customers into its virtual power plant, which the state-owned company intends to double in capacity to 2GW before the summer, to enable them to access flexibility optimisation services. It’s intended that the initial phase of the agreement will see the deployment of some 10MW of solar PV and 6MWh of flow machine capacity. But it’s the companies’ aim to ramp this up significantly over the next three years, with the target set of installing 100MW of solar PV and 60MWh of storage in that time. Andy Cooper, head of UK downstream at Statkraft, said the fully-financed offering stood to enable its customers to take advantage of renewable energy. “Statkraft is committed to being the leading partner for clients seeking to better utilise renewable energy and maximise the value of flexibility. The partnership with redT enables Statkraft and Bryt Energy to offer additional options that will benefit customers, incorporating storage, renewable energy solutions, advanced asset optimisation and trading within a VPP,” he said. 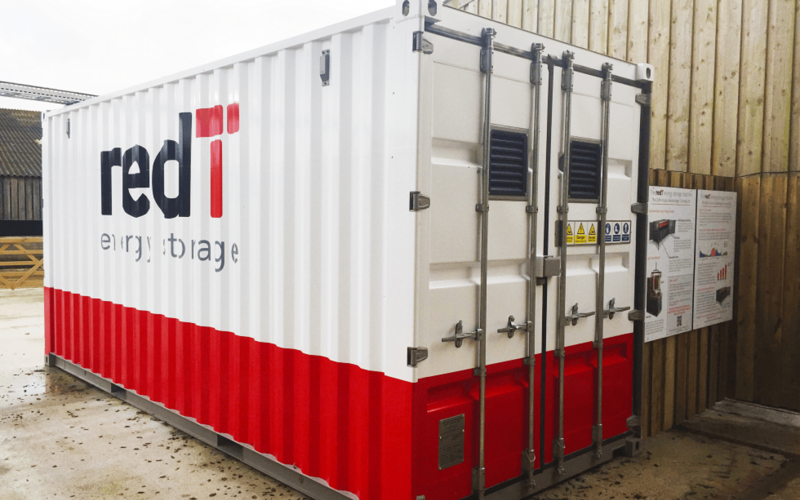 Earlier this month, sister publications Solar Power Portal and Energy Storage News reported on the extent of redT’s financial woes, issues which have prompted the firm to launch a strategic review of the business moving forward. The company is seeking to raise around £1.5 million from a placing and open share offer to see it through the next four to six months, and teased the imminent announcement of a solar-plus-storage offering with a major European utility. Upon confirming that company to be Statkraft, executive chairman Neil O’Brien said the duo were “breaking new ground in the energy industry”. “With this roll out of low cost solar coupled with heavy cycling, flow machine technology, we hope to accelerate the deployment of energy storage providing low risk energy savings to commercial energy users, and creating an effective, hedge against rising energy prices,” he said.